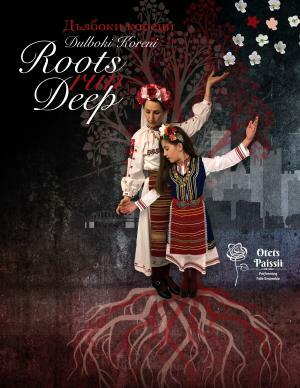 The BMNECC's Performing Folk Ensemble Otets Paissii presents its annual spring concert, Roots Run Deep, on Saturday, May 18, 2019. Please join in a celebration of cuture and tradition that incorporates exhilarating music, traditional dance, and treasured songs. The BMNECC's Danka Dance Group, the Shareni Chorapi Children's Ensemble, and the Otets Paissii Bulgarian School Dancers will also take part in this magical evening. Nyama Signal will provide lively music for your dancing pleasure. Delicious ethnic food will be available for purchase and a cash bar will be open. Parking is free in the Center's private lot.